Thanks to its contrasted and warm colours, Larch Quarter Cut Fumé is the natural choice for those elements and spaces that should look simultaneously special and cozy, such as hotel living rooms and restaurants. 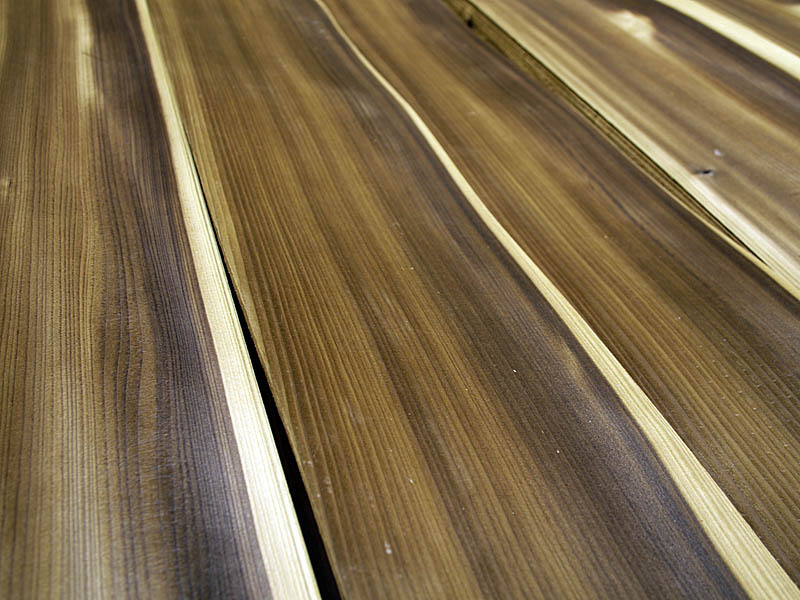 Its glossiness defines a very valuable wood texture. Also the sweetness of the brown tones gain through the fumé treatment makes this veneer to be different and unique. Common larch is a well know conifer in the family of Pinaceae. Larch trees grow in the boreal forests of Russia, Canada and Scandinavia. 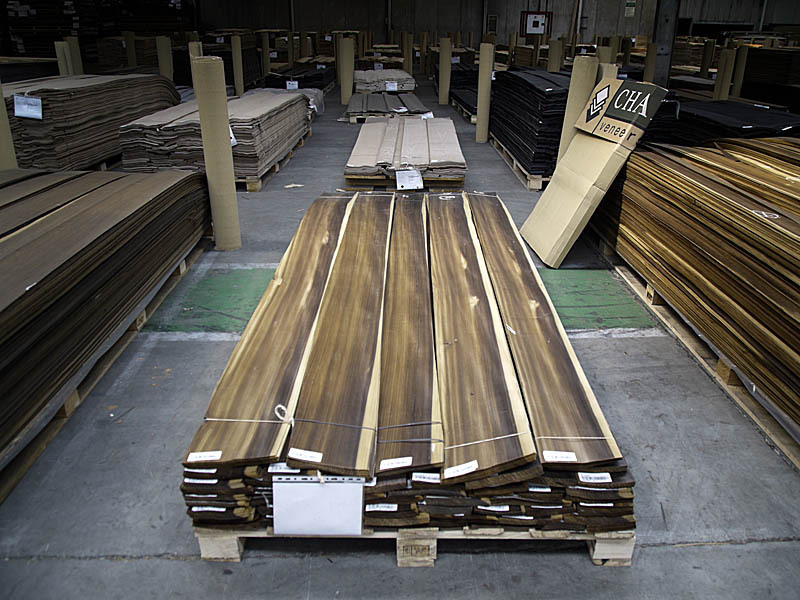 They have large and straight trunks and it´s lumber is appreciated for being dense and having a good rot resistance. 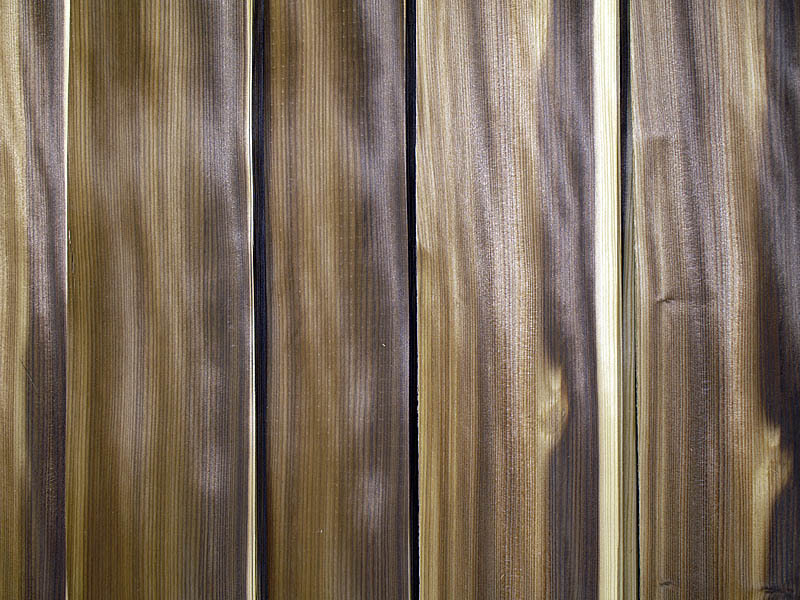 Larch heartwood ranges from yellow to reddish brown while sapwood is nearly white. That difference makes possible beautiful decorative effects when it is Quarter Sawn. Since 2012, CHANNEL VENEERS is pleased to offer Larch veneer with an exclusive finishing that enhances the natural appeal that wood. The company has developed the fumé technique over Quarter Sawn veneers defining an exclusive product. 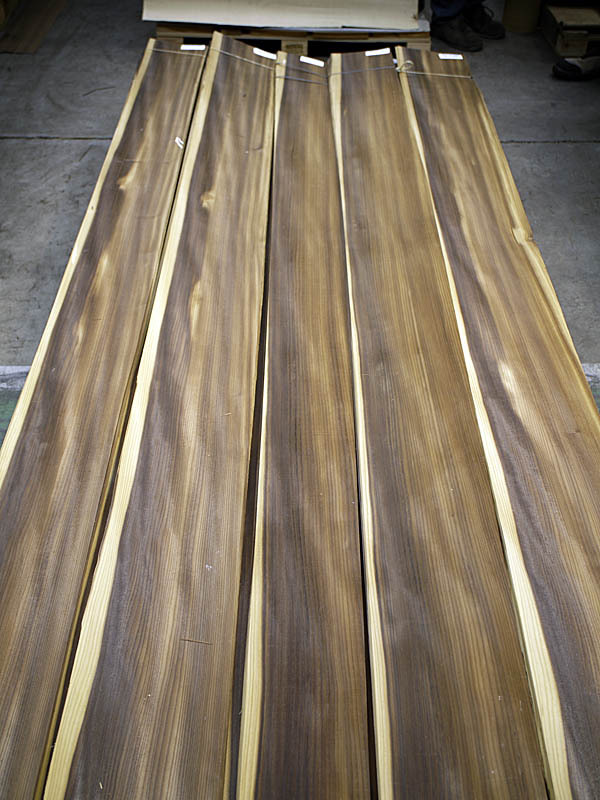 Due to the innovative treatment, Larch heartwood becomes darker while sapwood remains clear. Therefore the wood looks much contrasted, the tone is sweeter and the general texture is glossier. As a result of this it is possible to offer a new and eye-catching Larch veneer. CHANNEL VENEERS currently produces Larch Quarter Cut Fumé in a wide range of formats having this week two beautiful pallets over 3.10m length in stock. In addition to this, the company is able to supply any amount and to satisfy any specification related to the length or width of the required bundles. For further information on this reference and the available stock, please contact directly with the company.